In our March Newsletter Competition we gave you the chance to win a stunning bouquet of flowers worth £50 from local Somerset florist, Abundiflora to celebrate Mother's Day on 31st March. Julie from Doncaster nominated her Mum to win the flowers and was chosen as the winner. Well done Julie! 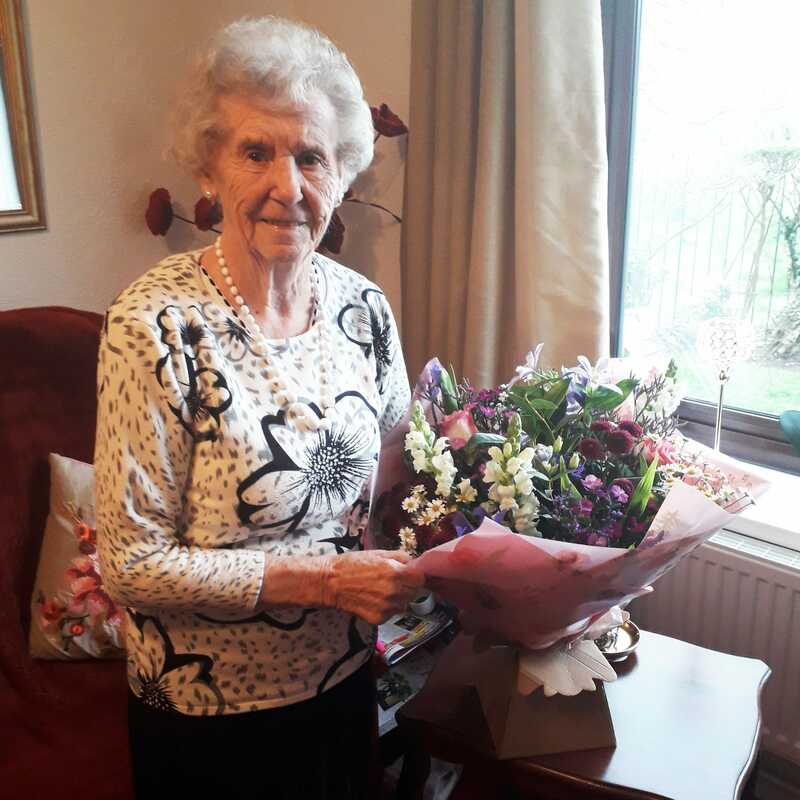 Thanks to Julie for sending us this lovely picture of her Mum with her flower prize this Mother's Day. Lovely to see a happy competition winner.